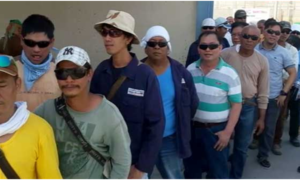 If you are looking for a job in Qatar, according to the Philippine Overseas Employment Agency (POEA), almost 5000 workers are needed in this Middle East country. Job positions include nurses, engineers, electricians, carpenters, masons, laborers, etc. with salaries as high as 80,000 Php. There are many opportunities in Qatar because of the upcoming projects being built in preparation for the FIFA World Cup 2022. 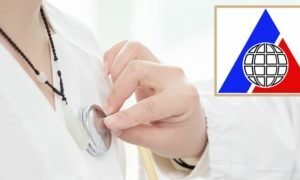 A report from ABS-CBN’s TV Patrol, mentions that salaries of these job openings were could reach Electrician or Mechanical Engineer as much as 6000 Qatari Rial (80,000 Php) while in-demand nurses could be as much as 3200 Qatari Rial (40,000 Php). For laborers, welder, mason, carpenter, foreman, salary is as much as 1,700 Qatar Rial (23,000 Php). Multiple job vacancies in Qatar. These Qatar jobs are available for Filipinos to apply. In order to apply, you can go to the POEA website and visit the licensed recruitment agency that is handling the said job order. Before thinking about being an OFW, make sure you understand the cost of living in the Middle East and read about the country so you will be aware of certain rules and regulations according to the location. POEA Deputy Administrator Jocelyn Sanchez mentions in the interview with TV Patrol that Qatar is need of these workers for the country’s infrastructure and building projects. To apply for the said positions in Qatar, please go to the respective recruitment agency who is handling that specific job order. To know the recruitment agency, you can head to this list from the POEA website.